I must stress that this journey has very much been a personal, solo journey. It is my belief that travel is in fact best done alone, in order to be most responsive and aware of the places and people which one encounters. While I am very keen to meet, interact with and learn from locals in the places I travel, I usually try to avoid other Western travellers and stay well away from heavily touristed areas. However, it is of course also nice to share a journey; particularly if that journey is in a wilderness area where interactions with local people are much reduced. Travel to areas which require a little effort or risk to get to also acts as a filter that very much increases the chances of meeting like-minded individuals. Therefore, it occasionally happens that I meet fellow Westerners with whom I am glad to travel with and who have the spare time to join me. In many cases, these people have become close, life-long friends. This page briefly introduces them. Firstly, the indefatigable Mr Aly Bossin. Originally French, Aly renounced his French nationality as a conscientious objector in the 1970s, headed east in search of new experiences, was welcomed by the good people of Pakistan, and years later converted to Islam and fell in love with and married a local woman. When I met Aly and his wife Shahana in Hyderabad in 2008, they almost overwhelmed me with their genuine hospitality and opened the door to a most beguiling region of Asia. I stayed with them for many weeks in 2008 and in 2009 was invited to live with them for half a year, and teach in the charitable school foundation, Ilm Jo Sojhro, which they run. 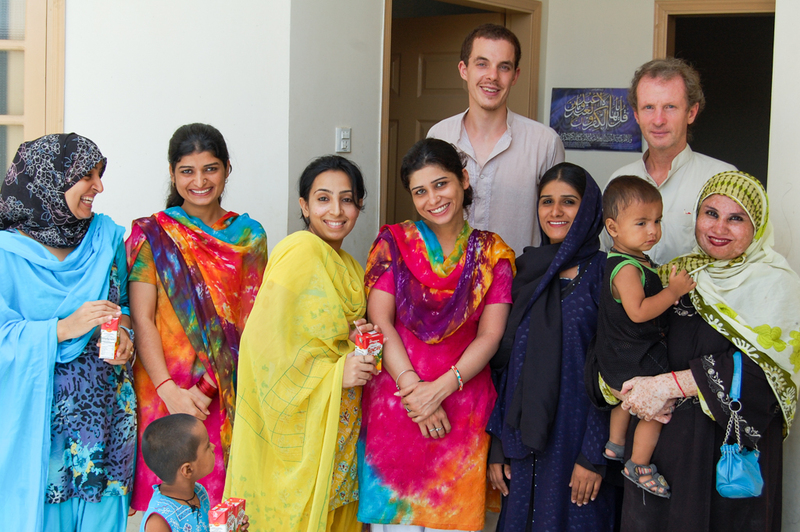 Aly and Shahana would be the most influential people in the entire trip and I will always cherish the privileged insight into the fascinating culture of Sindh which they gave me. A piece of my heart will always remain there. The first fellow traveller I encountered on the road was a German by the name of Marcus, whom I met in the street in Romania (before the journey had really started). Marcus introduced me to the website Couchsurfing and is therefore another very influential person on how the journey came to be what it is. 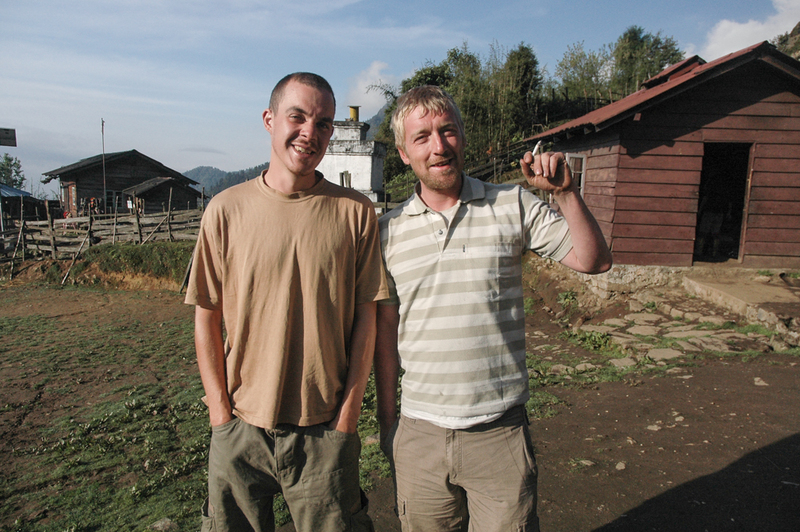 When Duncan (see below) and I rolled out of the mountains of Sikkim in 2008, we stayed with Marcus, his partner and two young children in Siliguri for several days. It was not however until August 2014 that Marcus and I finally travelled together, when we spent two fantastic weeks together in Georgia; him in a rented 4×4 with his two (now much older) children. A dedicated non-conformist, Marcus finally settled down to teaching sustainable tourism development in a German university, though he remains committed to minimising his interaction with the ‘hamster-wheel’. Whilst in Sikkim, India, in May 2008, looking for another trekker with whom to split the costs of a nine-day trek to the foot of Mount Kanchenjunga, I found Duncan, a fellow Englishman who makes a living as a flint-waller. Thoughtful, sensitive and first class company, Duncan was the perfect companion for long, damp days walking through cloud forest and eating yak. In autumn 2009, whilst planning my Afghanistan trip, I sent Duncan a half-serious offer of joining me in the country, to which he replied positively, though warned me he ‘still had terrible flatulence’. Duncan joined me on one of the most memorable stretches of the entire journey, travelling across Afghan Turkestan. Waiting for a road to open in Himachal Pradesh, India, in July 2008, I became friendly with Slovenians Matjaz (an award-winning photographer) and Ana (a chemist), also driving their own 4×4. We drove together along the sublime roads of the Spiti Valley and Ladakh, and perfected our civilised camping routine; semolina and real coffee for breakfast and hearty, home-cooked fare for dinner. I will never forget the look on their faces as a number of dead weevils and their eggs floated to the surface of the saucepan in which we were boiling year-old Kazakhstani pasta I had assured them was ‘very good’. 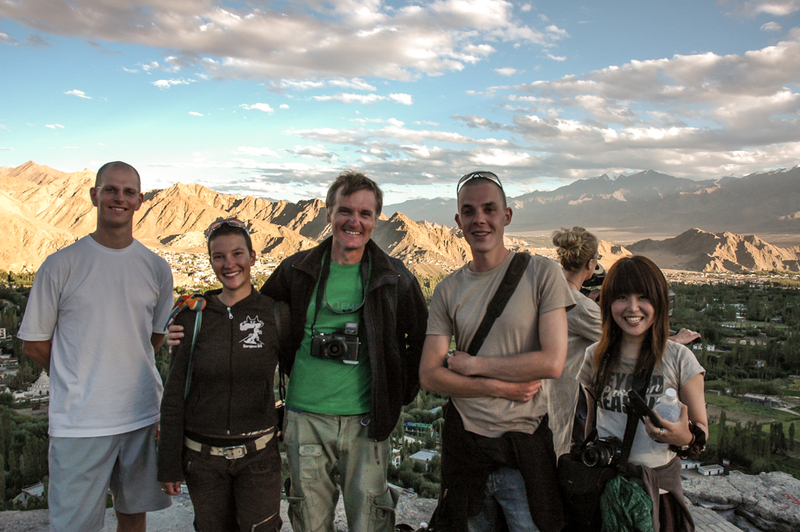 We travelled together for around a month until they pansied-out of following me to Kashmir. 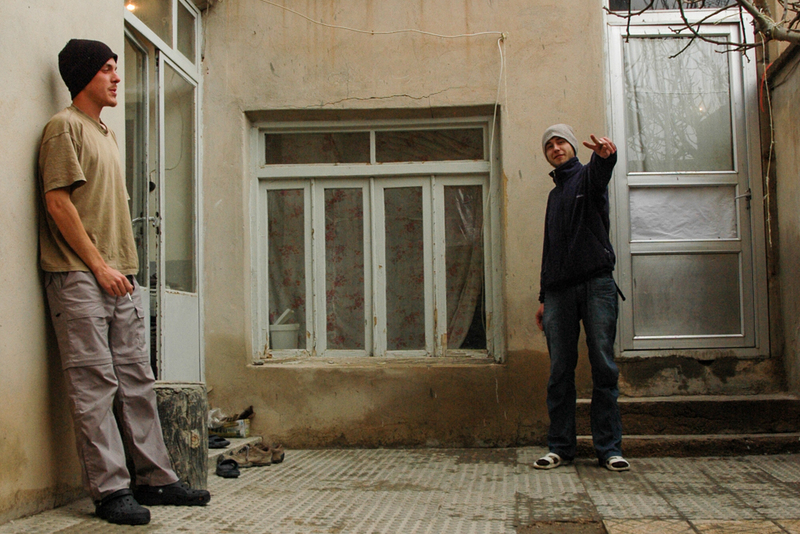 We briefly met again in Tehran in January 2009 when (with Maciej; see below) we made a journey to the frigid mountains of Kordestan to visit a mid-winter festival. In Iran, in February 2009, a Polish backpacker was foisted upon me by my Iranian host Mehdi for a ride towards the mountains which constitute the Turkmenistani border. Maciej and I soon found a common love of photography, Iranian history and lavatorial humour. 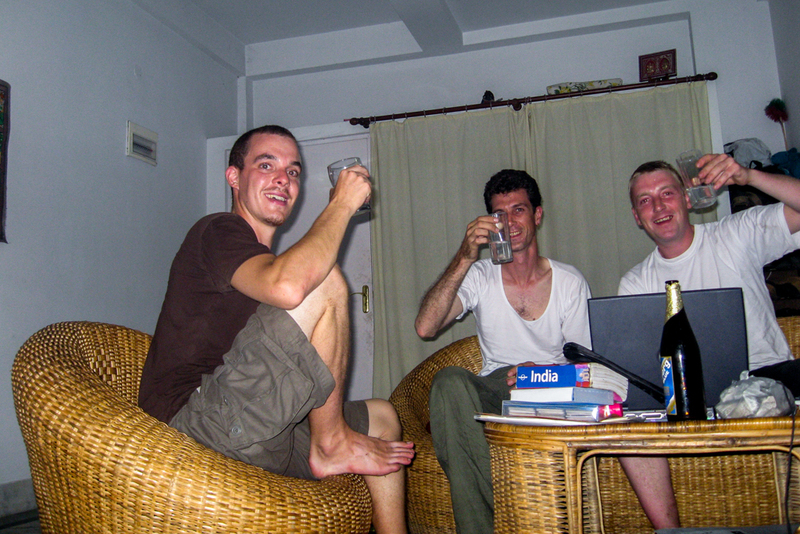 Maciej is a considerate and generous travel partner and always amusing company. 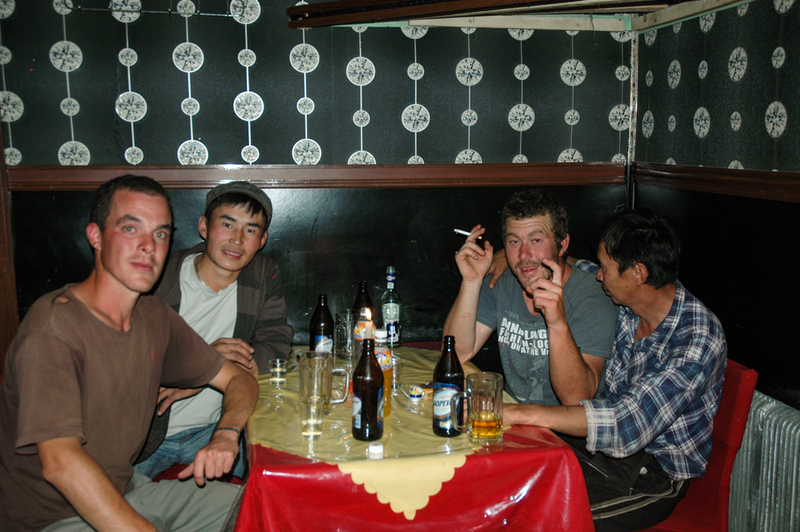 In October 2010 Maciej joined me in Mongolia for a gruelling drive across the north of the country during the onset of winter, along with the Finns (see below). In August 2017 Maciej joined me once again for a nine week drive across Russia, from his home town of Gdansk in Poland to Magadan. Despite sometimes very cold conditions and a limited beer supply, Maciej would invariably produce excellent food to round off a long day of driving. In July 2010, whilst looking for a travel partner, I was fortunate enough to me to meet Jacob, a perennial Californian vagabond who had given up a life in America of sleeping in tents in friends’ gardens and surveying wildlife, for a life on the road of sleeping on the ground in Mongolia and surveying wildlife in Russia. We soon developed a great friendship camping in the Mongolian wilderness, making tea and heating Russian tushyonka and instant noodles over humble twig and dung fires. Jacob had endless reserves of patience and stoicism to counter my frequent cursing of Mongolian road conditions / lack of roads / mutton based cuisine. Driving along the shore of Lake Baikal and into the Barguzin Valley in September 2010, I encountered two rather lost-looking Finns; Toni and Marjo. 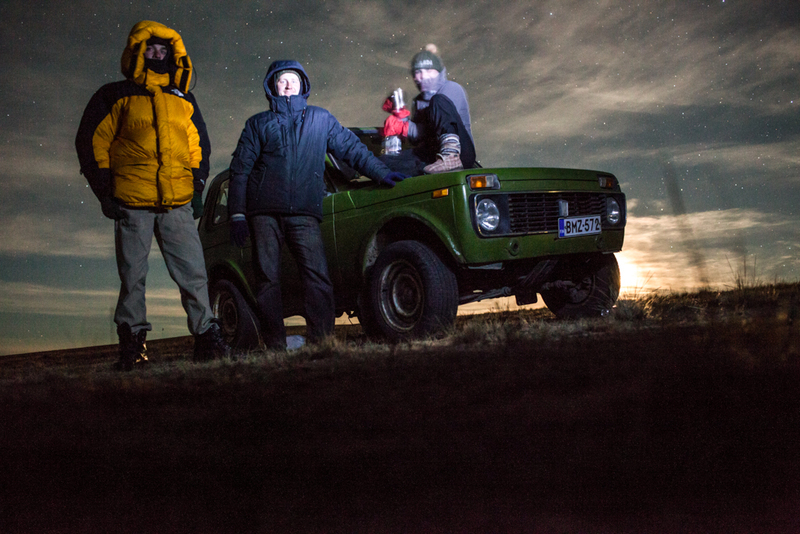 Having decided to drive an ageing, ailing Lada Niva halfway across Russia, Toni, an IT help-desk specialist, wanted some company and set off with total stranger Marjo, a psychiatric nurse. We soon developed a vagrant lifestyle, camping out in the endless taiga of eastern Siberia, taking turns watching roaring all-night fires while the temperature dropped well below freezing. Despite claiming (quite falsely) that his IQ is “less than the number on the bottom of my shoe”, Toni is an very savvy traveller and marvellous company. If Toni was the brains, Marjo however, was the muscles of the operation; I’ve never met a stronger woman and she continually impressed me with her physical and mental endurance. The Finns travelled with me for a total of around six weeks, until their Niva had to be abandoned in horrendous conditions of snow and cold. These are the main characters of the trip; the people I most frequently relate tales about and the people I’ve made the most effort to keep in contact with. There were however literally hundreds of ‘characters’ in this trip, mostly people who hosted me, fed me, answered my questions, showed me their town, introduced me to their friends and generally added greatly to the richness of my travel experience. They are, sadly, too many to list, but I hope to make mention of at least some of them throughout the text. Then there are the thousands of casual acquaintances I made; people I shared a beer with, a brief conversation. To be honest, I’ve probably forgotten more of them than I can remember, but I like to think their contribution lives on in the overall knowledge and experience I have gained from the entire journey. Nice picture of me. add that to the list of reasons to always carry a camera while traveling. now i have no hideous pics of you to counter-post! I’m amazed that you paid for a trek, rather than be independent. Quite beyond belief for someone who likes Thesiger. I know what he’d have said on seeing tourist treks. Still, one of the better blogs around – and it’s pleasing that you’re literate. Thank you for your blessing, particularly regarding my literacy. I would be very keen to see any web-output which you have created given that you are obviously someone very vocal with even their most banal opinions. Regards paying for a trek, it was mostly out of compliance to local regulations that a guide was required, and partly due to not having sufficient equipment to cater for eight days of wilderness trekking. In general however your amazement is quite justified, as I am certainly against being guided. Frankly I imagine there would be a great many things which Thesiger would disapprove of in the way I travel, most likely starting with driving an automobile.